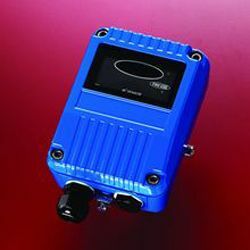 The Apollo 55000-280 Infrared Flame Detector is now available to order from The Safety Centre. This device is a specialist sensor for use on Apollo XP95 and Discovery Loop Circuits. It is particularly useful for providing flame detection for areas such as aircraft hangars, coal handling, paper manufacturing plants and woodworking environments. The Apollo 55000-280 is addressable and is designed for use on the loop detection circuit. It is addressed using DIP switches within the unit. There is an optional stainless steel bracket (part number 29600-203) which can be used for mounting the sensor. This bracket is two axis adjustable. The Apollo 55000-280 has a coverage of upto 40 metres. If you’re interested in the Apollo Infra Red Flame Detector you may also be interested in the Intrinsically Safe Smoke Detectors and Intrinsically Safe Call Point ranges.